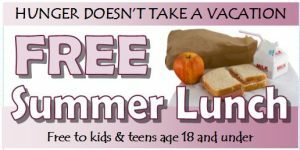 Home » Summer Lunch Program » Interested in Volunteering? 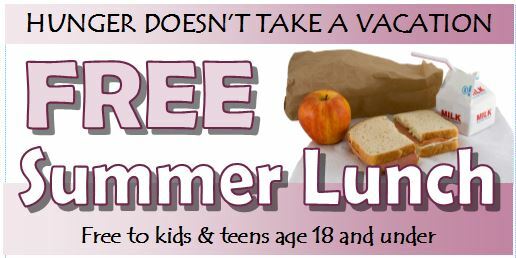 We would like to have at least 2 (3 is preferred) volunteers at each site every weekday of the summer from June 4th – August 31st (except July 4th). Please review volunteer responsibilities and sign up below for shifts with your name and email (or phone number if it is preferred method of contact). Sign up is self-directed. If you want help or prefer to schedule via phone please contact one of the following: Pastor Dave Hankins (608-742-6006); Dawn Foster (608-742-4959 ext 211); or Columbia County UW-Extension (608-742-9680). Library site volunteers may be asked to: – Setup/ teardown of the sharing table – Setup, staff, and tear down the adult sandwich making station – Greet participants and direct them to where the food is being served – Share program information with people who are present at the site – Assist with site clean up (sweep, wipe down tables, dispose of any additional trash) – Deliver any leftover lunches to the serving van at a later lunch site. Sanborn Park, Splash Pad, and Lincoln Park Volunteers will be asked to: –Pick up lunches from library and drive allotted amount to distribution site(s)- Walk the area where the food is being served and make sure the grounds are clean and leftover food is properly disposed of- Setup/teardown tables- Serve food and keep track of how many meals were served- Share program information with people who are present at the site- Setup/teardown of sharing table- Setup, staff and tear down the adult sandwich making station. Library site volunteers may be asked to: –Pick up lunches/coolers from Northwoods and deliver to library- Setup/ teardown of the sharing table – Help set up room for serving lunch- Serve food nd keep track of how many meals were served- Setup, staff, and tear down the adult sandwich making station – Greet participants and direct them to where the food is being served – Share program information with people who are present at the site – Assist with site clean up (sweep, wipe down tables, dispose of any additional trash) – Deliver any leftover lunches to the serving van at a later lunch site- Clean and bring coolers back to Northwoods.